LinkedIn Learning: learn about statistics and speed reading from your sofa! 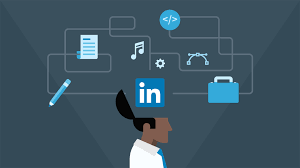 LinkedIn Learning is an online platform that offers a variety of courses to help you develop your business, creative and technological skills. As part of our mission to make skills development more convenient and accessible to postgraduate researchers throughout their degree, we are trialing the platform over the next year. All students prior to the writing-up stage will have a licence. Over the last week I have been trying out LinkedIn Learning for myself and, I have to say, it has become more addictive than the latest Netflix series! There’s an array of courses to satisfy anyone’s learning appetite. My first tip would be to watch the ‘Getting started with Lynda’ video, as this gives you a good overview of all the tools you need to get the best out of this platform. Personally I have found the Speed Reading course extremely useful as a tool to help me utilise my time and to use certain tools to read faster on my computer. I have also been working through the Learning LinkedIn module which helps you create a ‘stellar LinkedIn profile’, which is crucial for today’s competitive job market. 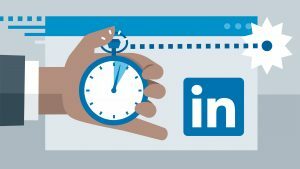 There is even a specific module for Learning LinkedIn for students to help them build a professional network when preparing to graduate. There are also a variety of general courses such as Statistics Foundation which would be extremely useful for many postgraduate researchers, as well as individual software programs such as SPSS, MATLAB, NVivo. There are even modules which help you to boost your motivation and find career tips. duration and subject. If I am looking for something more specific then I click directly on Library at the top of the screen and this takes me to an A-Z of all subjects. If you hover over Library you can also search by topic, subject or learning pathway. There are some really great tools that will help you while you complete your modules. My favourite has to be the notebook. When you click on the course there is a ‘notebook’ on the left hand side. As you complete the module you are able to note down some key pointers that you can then export at a later date. This is really handy when I am using LinkedIn Learning when out and about on my laptop. I also like to create a playlist for myself where I save any modules that I come across that I think would be useful. This allows me to save a number of potential courses that I can come back to at a later date. In summary, LinkedIn Learning is an easy to use platform with some really great features. Lots of the courses available will be really beneficial for postgraduate researchers. Find out how to register for a LinkedIn Learning account here or watch our Panopto Video.